Do you like tacos? What about beer? 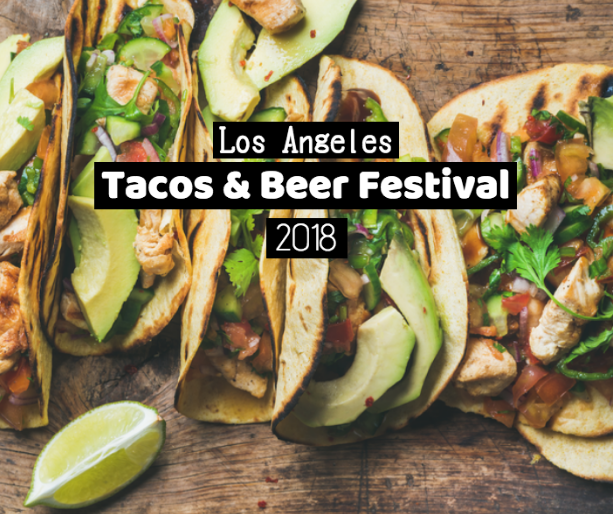 If you answered yes to both of these questions, then stop what you’re doing and get your tickets to the 2018 Tacos & Beer Festival located at Pershing Square in Downtown LA. This year, this delicious event will take place for one day only on September 29th. Get your tickets today! At this event, enjoy a fiesta themed ambiance complete with mariachis, live bands, and even a pinata-breaking party! This is the ultimate 21+ over party for you and your friends to enjoy. After the live bands, enjoy the live DJs spinning their tunes and if you’re feeling brave, try the mechanical bull! If you’re feeling especially festive, dress up and participate in the fiesta costume contest. However, the real appeal to the festival is, of course, the tacos and beer. Come hungry as there will be plenty of tacos to go around as well as fantastic beer to wash down your tacos. There will even be tequila, margaritas, and micheladas to enjoy. General admission tickets start at just $20 and get you access to the festival. Food and drinks are purchased separately, and cash or credit cards will be accepted. Your wristband will allow you entrance into and out of the festival. This event is 21+ only. This event will take place on Saturday, September 29th from 12-7pm. Pershing Square located in the heart of Downtown L.A. is a public, outdoor space where various events and activities are held throughout the year. The park has a specific area for concerts, gatherings, public celebrations, and political rallies. Additionally, you’ll find two children’s playgrounds, a pet area, a chess area, and an elevated amphitheater. The park is located at 532 S. Olive Street. Visit the official website and see any upcoming events that may be taking place at Pershing Square.